Over the past few decades, advances in internet technology have made it easier than ever for retailers to sell goods through the internet. 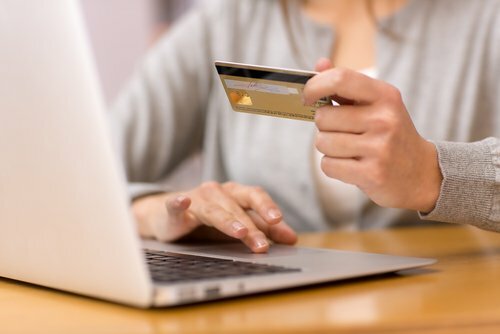 However, now that so many people have e-commerce sites, it has become substantially harder for business owners to reach potential customers and get them to buy from their site. The modern internet consumer is well aware that there are many other options for shopping and they will not stay on the site if they don’t think they’re getting the best price, if they can’t easily find what they want, or if they don’t feel secure with the shopping experience. Here are six simple tips to improve the usability of an e-commerce website, which will ultimately increase profits. The most important thing for an e-commerce site is that it’s easy for users to navigate the site and find the items they want. For businesses with a large catalog of items, it makes sense to separate them items into categories. However, retailers have to take care to name the categories carefully and to not be too narrow. People may assume that the product they need isn’t on the site because the category name made them think otherwise. For example, say a retailer has a section marked kids and a section for adults. A visitor may assume there are no products for babies because it’s not listed as such. Similarly, retailers may want to use subcategories multiple times if people might search for the page in multiple parent categories. A clothing retailer may have a subcategory for “socks” under main categories for shoes, and the categories for individual gender and age groups. This way, no matter the category where the user starts to search, they will still find the correct page. Making it easier for shoppers to find products they like is the best way to increase the profitability of an e-commerce website. This doesn’t have to involve the high-level algorithms used by Amazon to provide suggestions. Retailers know their product lines better than anyone else, so they can easily include links to items that are needed for product on a product’s information page. For example, a retailers selling inflatable bounce houses for kids can include a link for extra balls for the ball pit. Similarly, linking to other products that are liked by the people who buy a certain item can let people know about things they didn’t even know they wanted. The call to action, such as a “Shop Now” button, should be present on every page of a retail website. On the homepage, it should appear early enough that the viewer doesn’t have to scroll in order to find it. Whether the desired action is buying a product, using a request form, signing up for a newsletter, every page should have a clear path to that action. Even in 2013, online retailers have to establish credibility and trust with potential shoppers. A simple way to do this is to make contact information readily available and easy to find. Knowing that the company can be reached if there are problems can ease the concerns of people buying from a site they are visiting for the first time. Similarly, customers will eventually have questions they want to ask the retailer (even if the answer is listed on the website). If an e-commerce site doesn’t make it easy to contact the retailer (and get a response), shoppers with questions may keep searching for site that does. In some ways, it’s obvious that websites should use good images and compelling text, since these are the things that will sell the item. But it’s also a part of establishing credibility. For small business owners who are trying to compete against larger retailers, having images that look unprofessional or using product descriptions that don’t showcase the best aspects of item can be costly mistakes that turn away customers. No matter how much effort an ecommerce site puts into making the site easy to navigate, there will always be some users who simply try to search for the item on the site’s search bar. Search features that require exact spelling or aren’t intuitive enough to show items that are tangentially relevant to search terms can end up hurting a site more than it helps. Additionally, product listing should make it easy to search for a particular size or color. To illustrate, don’t use codes to indicate the color or style of an item, otherwise, the item won’t show up when users specifically search for that color or style. As the e-commerce market becomes more competitive, it becomes more and more important for retailers to make their site stand out against the competition. Though these may seem like insignificant things, the items mentioned in this post can make a huge difference in the usability of a website. By keeping track of trends and ensuring a site provides a great customer experience is the way to ensure that business owners are getting the maximum profitability from their e-commerce site.